Upon first hearing Sousa’s Désirée, you may think that it is some long lost, early operetta by Sir Arthur Sullivan. The tip-off, of course, would be the numerous march themes that Sousa incorporated in his operetta. In addition to Sullivan, it’s hard not to imagine that Sousa was influenced by other great composers of the late 19th century, such as Offenbach and Verdi ... and throw in a little Rossini for good measure (listen for the storm scene in Act II). In the past few years, VLOC has presented other rarely performed works ... Offenbach’s La Vie Parisienne, Romberg’s Desert Song, and Strauss’ The Gypsy Baron, to name a few. We will continue to bring these neglected gems to the attention of our loyal patrons, in addition to our usual fare of G&S operettas, which we take great pride in doing well. We hope you enjoy our presentation of Désirée. As a stage director, I strive to create something onstage that is visually engaging, and compliments the work of the composer and librettist. Being asked to do this for a concert performance posed an interesting challenge: what does one do without a set, costumes, or props? The resulting idea is a conceit created from the existing elements present: an ensemble and principal performers, an orchestra and conductor, a lit stage and you – the spectator. It is therefore my pleasure to welcome you to a very special event: the Revival Cast Recording of Désirée, performed live, before a studio audience. The action of “America’s First Comic Opera” takes place in Amiens, France, during the time of Cardinal Richelieu. Musketeers have gathered in Pomaret’s mercer shop, seeking his beautiful daughter, Désirée. Her cousin, Marie, waits on them and is all but ignored. Their delightful recreation is interrupted by a trumpet call, which summons them to their military duties. The Count de Courville arrives, dismisses Marie, and then asks Désirée for her hand in marriage. The Count’s father, however, disapproves of his son’s marriage to a commoner and threatens by letter to imprison Pomaret if he permits the marriage to take place. The Count’s superior officer and friend, the heroic Marquis de Lavarre, decides to offer a solution. The Marquis proposes marriage to Désirée on the condition that the wedding takes place within the hour. At the prospect of becoming the father of a Marchioness, Pomaret promptly gives his consent. Unbeknownst to the Count, however, the Marquis has recently been convicted of killing a rival in a duel and has been sentenced to death. Cardinal Richelieu has condescended to permit the Marquis to die in battle against thirty thousand Spaniards instead of facing ignominious death on the gallows. The Marquis secretly plans that as soon as the wedding vows are completed he will leave for his final battle, making the new Marchioness a widow and freeing her to marry the Count – thus fulfilling his promise to solve his friend’s dilemma. However, the jealous Count is infuriated upon learning of the marriage plan and challenges the Marquis to a duel. In his outrage, the Count has not allowed the Marquis the chance to tell him of the fateful future. The Marquis has him arrested for his own good. The Marquis and Désirée are married; but at the wedding reception the Marquis seems disinterested and Désirée, very much slighted, is furious. She sends her father to the Cardinal to request an annulment of her marriage. Meanwhile, the Count escapes and returns to confront the Marquis. The Marquis reveals the full details of his plan to the Count, and to convince him his intentions are honorable, the Marquis sends his Sergeant with an immediate challenge to the Spanish General. Surprising news arrives from the Cardinal; the rival whom the Marquis had killed was found to be a traitor, and the Marquis is thereupon not only pardoned but a hero. Alas, the Marquis has already obliged himself to conduct a one-man battle against the thirty thousand Spaniards. 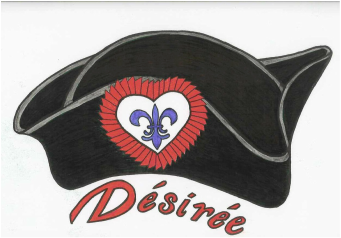 With only his trusted sword in hand, the honorable Marquis departs, however, not before he declares his love to Désirée. In true operetta style, the Marquis is not killed in the battle. How his unexpected victory happened is told by a chorus of Musketeers and Drummer-boys in a rousing march – Sousa style. The victorious Marquis de Lavarre returns and is reunited with Désirée’; but Pomaret arrives with the Cardinal’s approval of Désirée’s request for an annulment. The Count neatly resolves this final glitch by tearing up the annulment paper and announcing that he is marrying Marie – now eligible to be his wife since she is now the cousin of a Marchioness. Even Pomaret gets his match, the matron schoolmistress, Laurie, who it is rumored, has saved ten thousand francs. All of this and Pomaret becoming the father of Marchioness too – who could ask for anything more?